Are you tired of searching through hundreds of websites just to find a handful free Max for Live devices? Wouldn’t it be nice if there was just one page full of these free addons? Well, you found it! This post contains an ultimate list of free Max for Live devices! Max for Live is an add on for the music production software Ableton Live. It gives users the ability to create and edit their own instruments, as well as share their instruments with the world. Max can also connect to various instruments and hardware to create new and exciting sounds and effects. In the list below, we have put together a huge list of free devices that work with Max for Live. 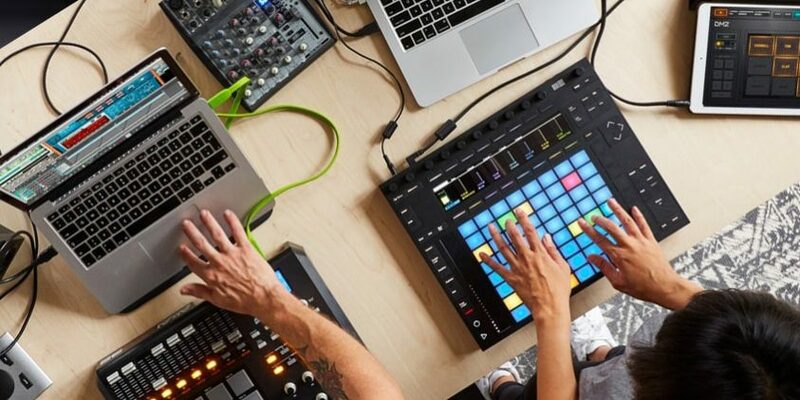 Whether you are looking to level up your own tracks, or create your own sounds and effects, we’re certain this list has something just for you. First of all, let’s look at some awesome M4L MiDi devices. MIDI sounds are what drive modern music development. With these free devices, you can take control of your music and tune it to perfection. Synthesizers are the driving force behind a lot of todays electronic music. With these devices, you can add the unique and powerful sounds of a genuine synthesizer to your music. Nothing adds beats and rhythms to music quite like drums. They are the pounding heartbeat of today’s music. These devices give you access to professional style drum kits that will get your tracks thumping. Finally, let’s share some awesome ‘Max Packs’ with you! Sometimes the best things in life come in the form of complete packages. These free packs contain multiple Max for Live devices, including different instruments and more! In conclusion, there is a plethora of free Max For Live devices out there for you to take advantage of. We recommend that you try them all to find the most useful ones that will help you create new and exciting music from here on out!